Rejuvenate the skin! 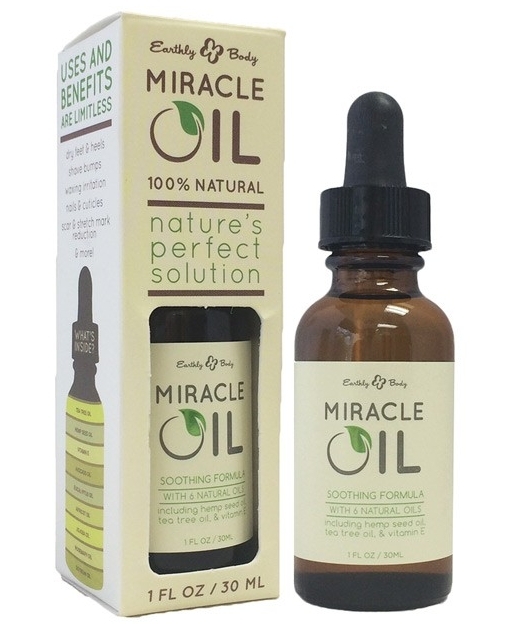 Miracle Oil is a blend of 100% natural and essential oils. Featuring three known natural healants, Tea Tree, Hemp Oil, and Vitamin E. The oil is perfect for cuticles, nails, insect bites, excessively dry skin areas, minor cuts and burns, stretch marks, and many more skin problems. The all-natural healer!